The mild Baltic climate is ideal for recovery - the sea air and a lot of coniferous forests. Treatment in Latvia is beneficial for two reasons: the European level of medicine and affordable prices are lower than in the EU or Israel. The main directions in sanatoriums are the use of mineral water, peat, various types of therapy are used - balneo, paraffin. Also there is an emphasis on exercise therapy, massage and diet. For each disease a special technique is used. It is known that mud and mineral waters that have just been extracted have the most effective effect. The unique composition of salts in each type of water allows their use for the treatment of neuroses, skin diseases, problems of the spine, and some types of oncology. Also, mineral water and mud help fight drug addiction, alcoholism. What are the benefits of treatment in Latvia? Modern equipment, the use of innovative drugs, including for the treatment of oncology. Rehabilitation after injuries, sports medicine and surgery are the most sought after industries. Resorts in Latvia are ready to accept patients all year round, and the cost together with accommodation is much less than in other European countries. Also during rehabilitation, some institutions offer tourist services, such as excursions. Cities, that have the most acceptable climate for recreation, are Jurmala, Riga and Sigulda. So it is not surprising that the best clinics in Latvia are located there. Private Clinic Udensrose (located in Jurmala), specializes in treatment of alcoholism, the study of neuropsychiatric disorders. In the reviews, patients noted professionalism and good results in patients with depression, OCD, who have obsessive states, sleep disturbances. The Phlebology Clinic of Dr. Maurinsh in Riga specializes in the treatment and surgical treatment of diseases of the veins, thrombosis, thrombophlebitis, hemorrhoids. Among the staff are proctologists and surgeons with years of experience, there is a modern laser equipment. The Baltic Vein Clinic in Riga deals with the problems of proctology and vein diseases, performs vein surgery and cosmetic procedures. Modern equipment allows accurate diagnostics, including phlebography and contactless MRI venography. The clinic has an ISO 9001: 2008 certificate, which guarantees quality, like in the best European clinics, but with more affordable prices. Sigulda Hospital has several activities, including gynecology, sports medicine, and surgery. The most sought-after services are weight loss operations and removal of cancerous tumors. Patients note an individual approach to rehabilitation, high quality of services provided and the competence of doctors. 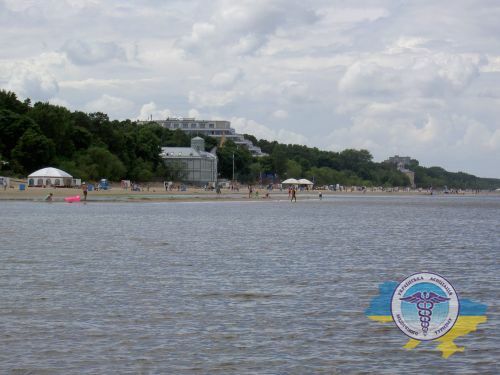 The Latvian Virotherapy Center is located in Jurmala. This is a private medical center practicing viral therapy for cancer, in particular with Rigvir. In the listed clinics in Latvia, the staff speaks Russian. The cost of treatment in Latvia depends on several factors: the diagnosis of the disease, the complexity and duration of the procedures, the duration of the rehabilitation. As a rule during rehabilitation patients can live in a hostel, and not in a clinic, which is much cheaper. One-day stay in medical centers usually costs 40-50 €. Implantation of a dental implant - 1000 €. It should be noted that a complex survey will cost less than individual procedures. Some clinics practice a discount system for regular customers. The Ukrainian Association of Medical Tourism will help you to get a qualified advice on choosing a rehabilitation center or clinic and recommendations on all issues related with treatment in Latvia and its cost.